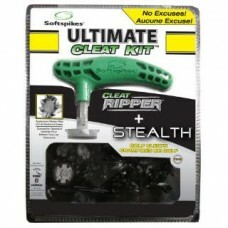 Features the Cleat Ripper wrench, plus 18 stealth cleates and a 2 prong insertion wrench, all packaged in a clamshell. Unique angled bristles clean under cleat legs to restore ultimate traction. Upright bristles remove..